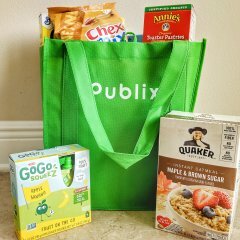 If you’re visiting Walt Disney World over the holidays and you only visit the parks, then you’re definitely missing out! Everyone who visits needs to take some time to visit the Disney resorts at Christmas and see the amazing Disney Christmas decorations. 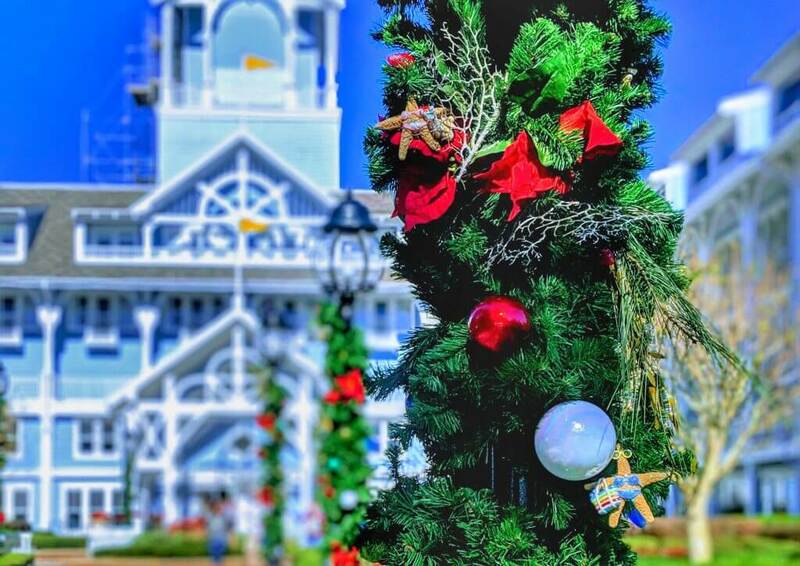 Each resort has not only a beautiful Christmas tree, but amazingly well themed decorations throughout the lobby, as well as unique touches in some such as the famous Grand Floridian gingerbread house. 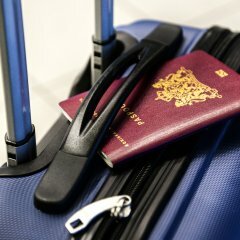 I’ve made a list of all of the Disney resorts that I think are the best decorated and most worth visiting over the holidays, so take a look! 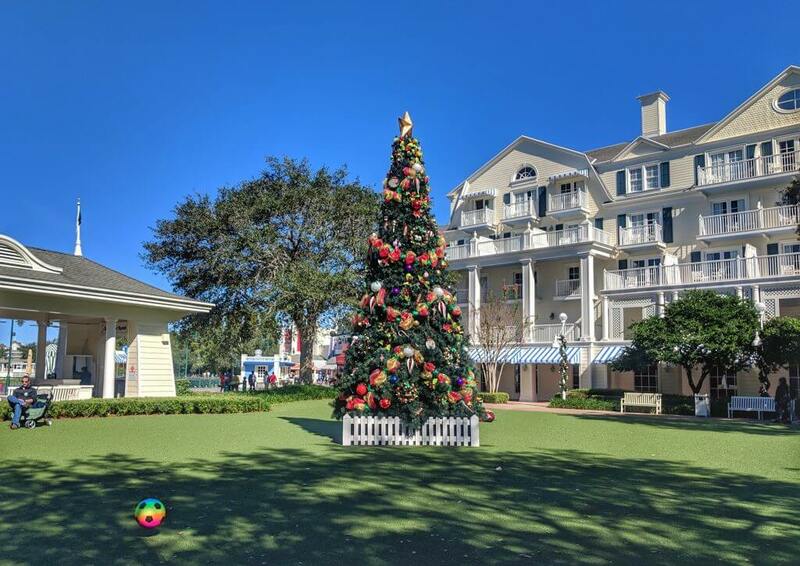 This is the one I recommend over all of the others; Disney’s Grand Floridian Resort is a beautiful resort at any time, but it’s truly spectacular over the holidays. As well as a stunning giant Christmas tree in the middle of the lobby, you’ll find the famous life size gingerbread house, celebrating its 25th year in 2018. 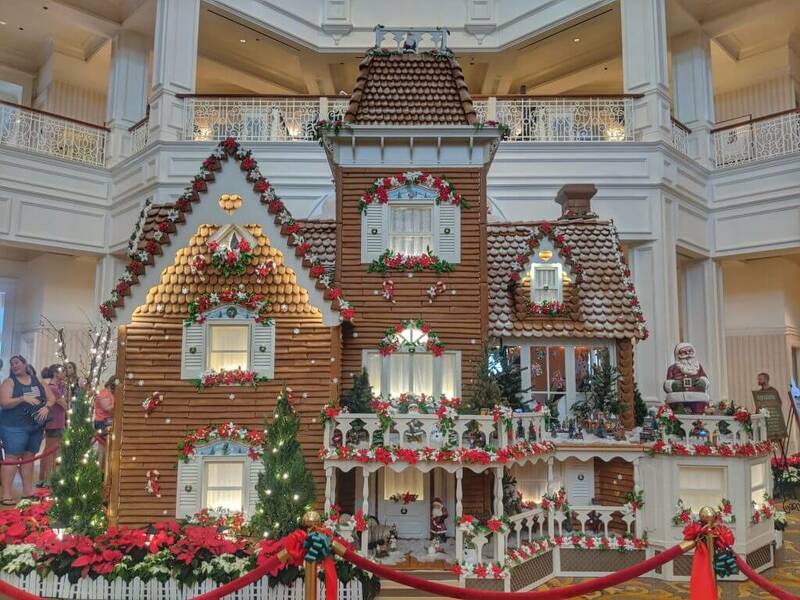 The gingerbread house, made from ingredients such as over 800lbs of flour, 140 pints of egg whites, and over 700lbs of chocolate, takes months of complete by the Grand Floridian bakery team. Not only is the gingerbread house beautiful to look at, but it serves as a fully functioning store, selling gingerbread treats such as cookies ad ornaments, as well as chocolate lollipops and even mini gingerbread house kits. 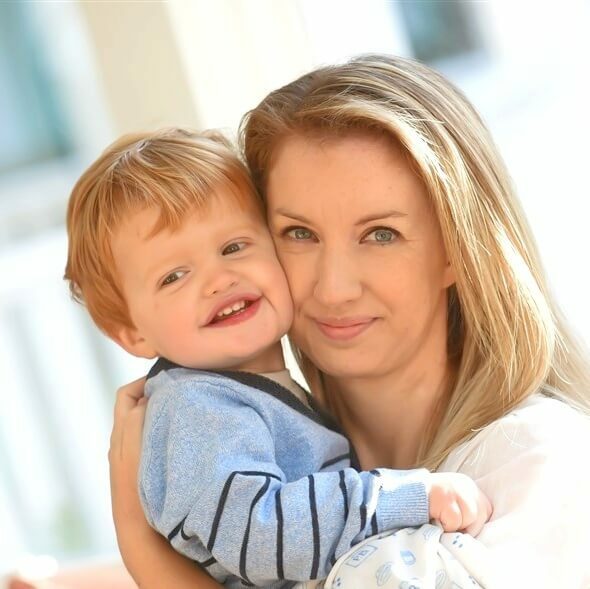 One tip we’ve discovered over the years: if the line for the gingerbread house is long and you just want a simple cookie, then head over to the store opposite, which stocks a small amount of cookies and other gingerbread treats. The easiest way to get to the Grand Floridian is to take the monorail or a boat from Magic Kingdom. 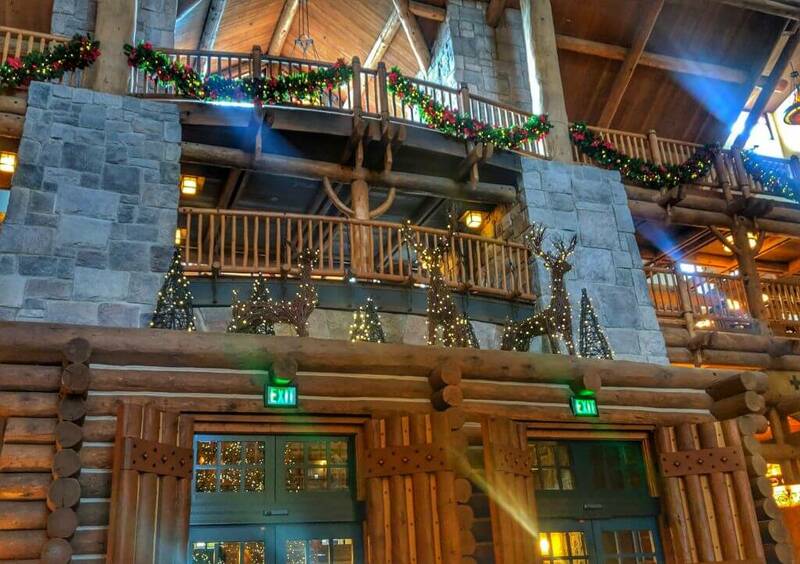 Disney’s Wilderness Lodge always feel the most Christmassy to me over the holidays; the Pacific Northwest decor really lends itself to a cozy holiday feeling and the decorations are beautiful. The lobby features another one of the Disney giant Christmas trees, as well as lighted topiary reindeer above the entryway doors. There’s also Christmas trees dotted throughout the lobby and hallways, as well as a beautiful wreath over the fireplace. Wilderness Lodge can be reached by boat from Magic Kingdom, the Contemporary Resort or Fort Wilderness, or you can just take a bus from one of the parks or Disney Springs. Although they have a beachy theme throughout the year, the Yacht and Beach Club have the most beautifully festive Christmas decorations. The two resorts have different themes, with the Beach Club taking on a more seaside approach, and the Yacht Club going for a nautical look. 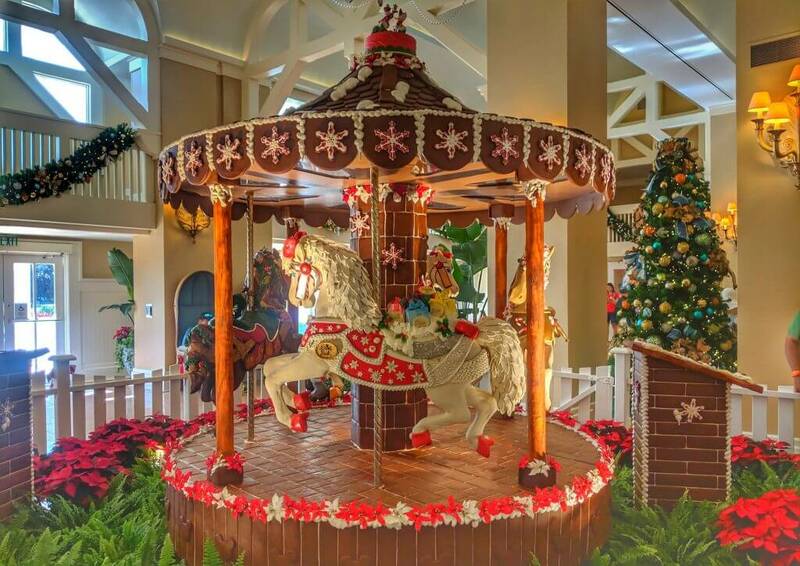 The Beach Club not only has beautiful trees and garlands, but also has a working gingerbread carousel in the middle of the lobby. This is my second favorite gingerbread piece behind the Grand Floridian gingerbread house, and I absolutely love that the carousel actually turns! 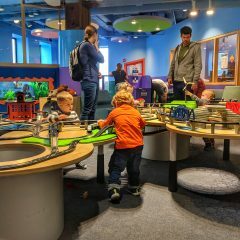 The Yacht Club is my two little boys favorite resort at Christmas because of the amazing Christmas village complete with a working train and gondola system. The village is huge and be sure to walk around the whole thing to take in all of the little details. There is also a stunning Christmas tree as the centerpiece, with deep blue Christmas decorations and garlands strung throughout. 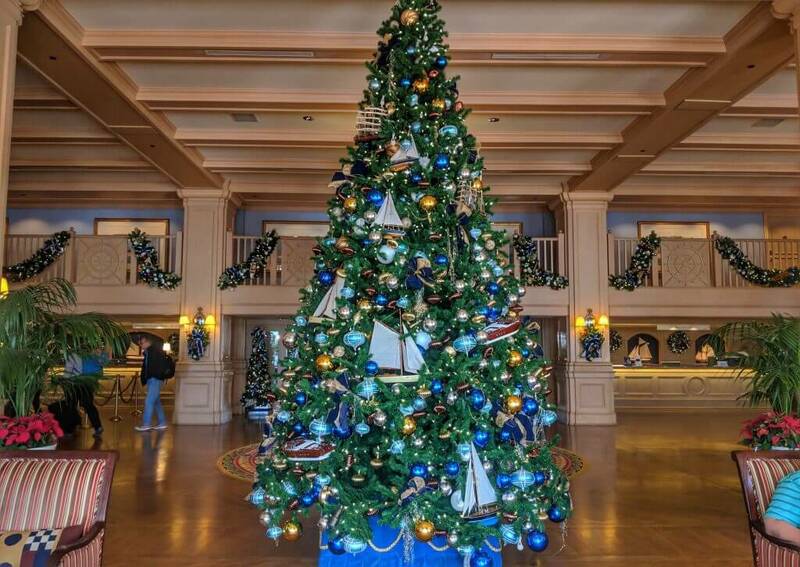 The wood paneling in the resort adds to the Christmassy feel, and the little nautical touches are so pretty. You can reach the Yacht and Beach Club by walking from the International Gateway at Epcot, perfect if you’re visiting Epcot for the International Festival of the Holidays or seeing the Candlelight Processional. 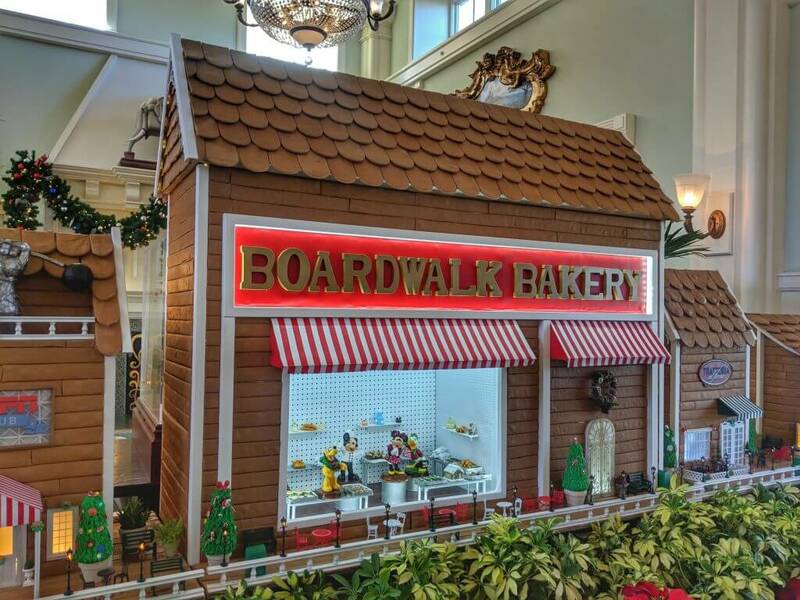 Be sure to step inside the resort to see the amazing gingerbread Boardwalk, complete with a large Boardwalk bakery (where miniature Disney characters are cooking up some festive treats), restaurants such as Trattoria al Forno and Flying Fish, the ESPN Club, and even the Boardwalk gazebo. It’s an amazing feat, and you can buy gingerbread cookies from the pop up store in the lobby. 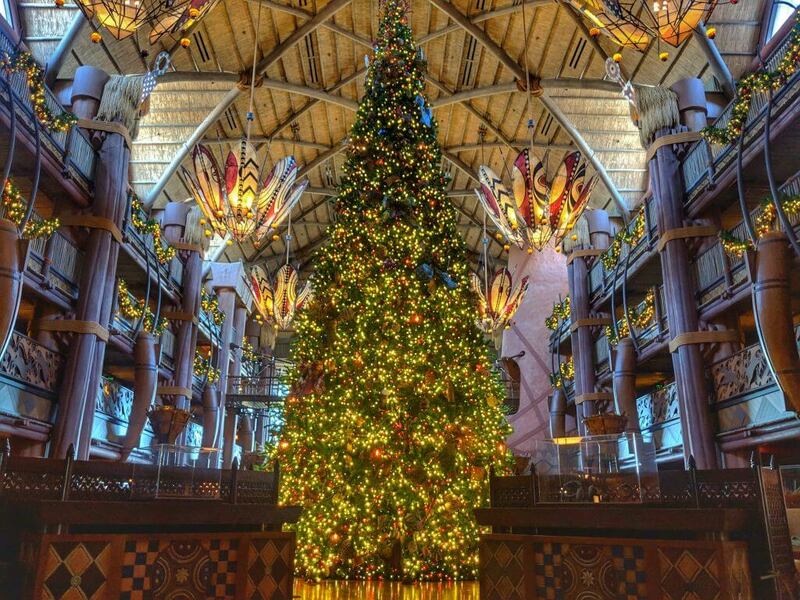 Of all of the Walt Disney World resorts, you wouldn’t necessarily think Animal Kingdom Lodge, with its African inspired theme, would be the most Christmassy, and yet they do a fantastic job of decorating in keeping with the decor. 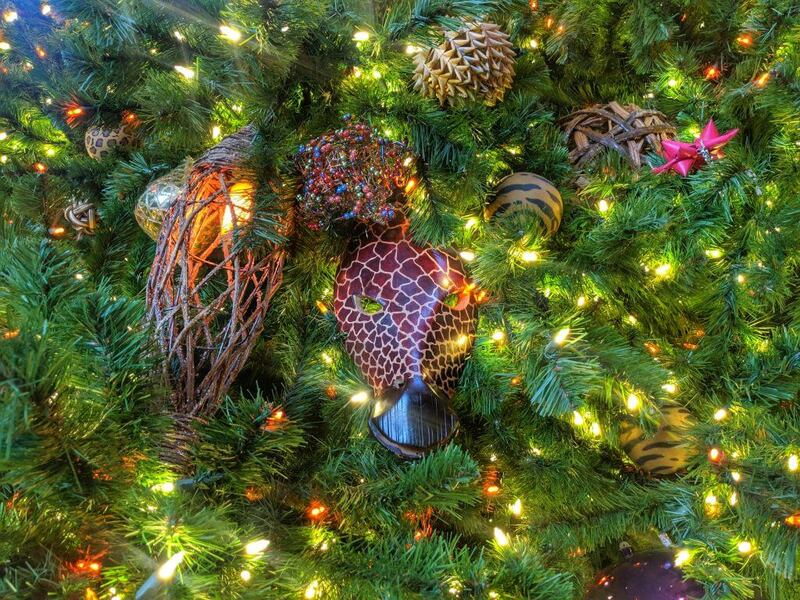 The centerpiece is a stunning giant Christmas tree that looks incredible in the middle of the lobby, and the tree has the most incredible details on it; if you visit the resort, I’d definitely recommend looking closely at the ornaments and other decorations on the tree. Animal Kingdom Lodge isn’t the easiest resort to visit, so the best option is to take a bus from one of the parks or Disney Springs. While you’re there, the food at Animal Kingdom Lodge is some of the best and most underrated on Disney property and I’d definitely recommend stopping for a bite to eat. 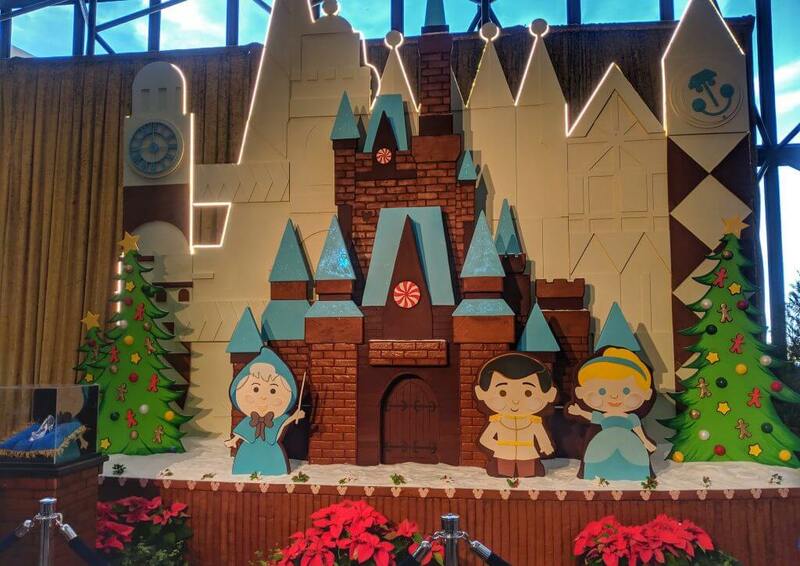 While you’re on the monorail loop visiting the Grand Floridian, I would suggest taking some time to stop and look at the gingerbread village at Disney’s Contemporary Resort. The village is located on the 4th floor (the same floor as Chef Mickey’s) and has a different theme each year; in 2018 the gingerbread village is Cinderella inspired and they’ve done a beautiful job. The area around the gingerbread village is pretty small so be prepared to wait if you want a good picture, but they play Christmas music and have gingerbread treats and snacks on sale and there’s a real Christmassy feel. 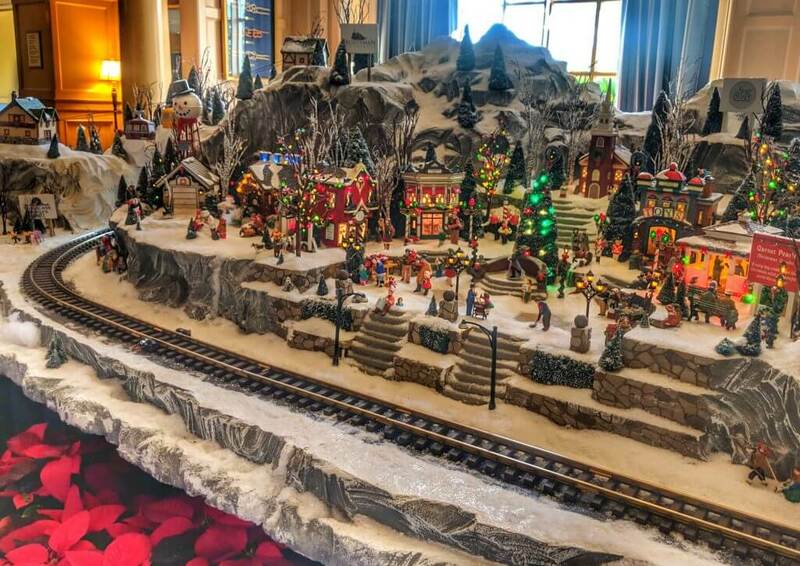 While it’s amazing to visit all of the Disney resorts at Christmas that are decorated by the fantastic Holiday Services team, there’s something we enjoy just as much that has nothing to do with the Disney Christmas decorations. If you have a free evening, head over to Fort Wilderness Resort and Campground and take a look at the Christmas decorations on display by the guests in the campground. Every year we rent a golf cart to drive around to see what everyone has on display; people come for weeks at a time over the holidays and do the most amazing job decorating their campsites and RVs. There are interactive displays, and even guests handing out candy canes and chocolates! 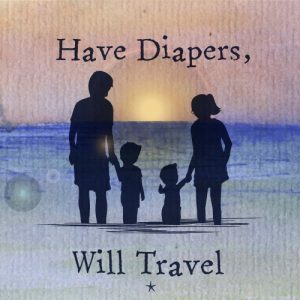 This is a great thing to do if you’re having dinner at Trails End, going to see the Chip and Dale Campfire and Singalong, or just have some free time during your trip. 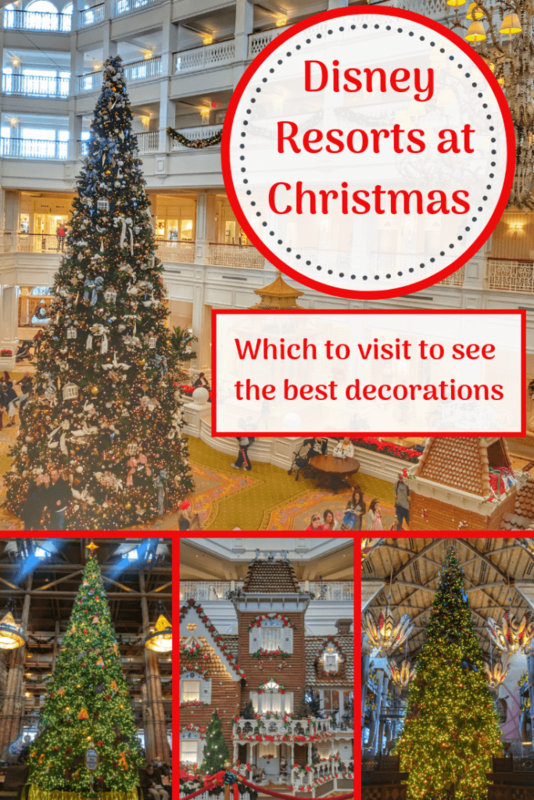 Which is your favorite Disney resort at Christmas? Where have you seen the best Disney Christmas decorations? Let me know in the comments! 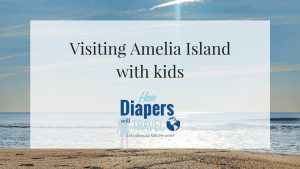 Typhoon Lagoon or Blizzard Beach for toddlers; which water park is best? Wow I never thought I’d enjoy anywhere that wasn’t cold and snowy for Christmas, but this actually looks amazing! 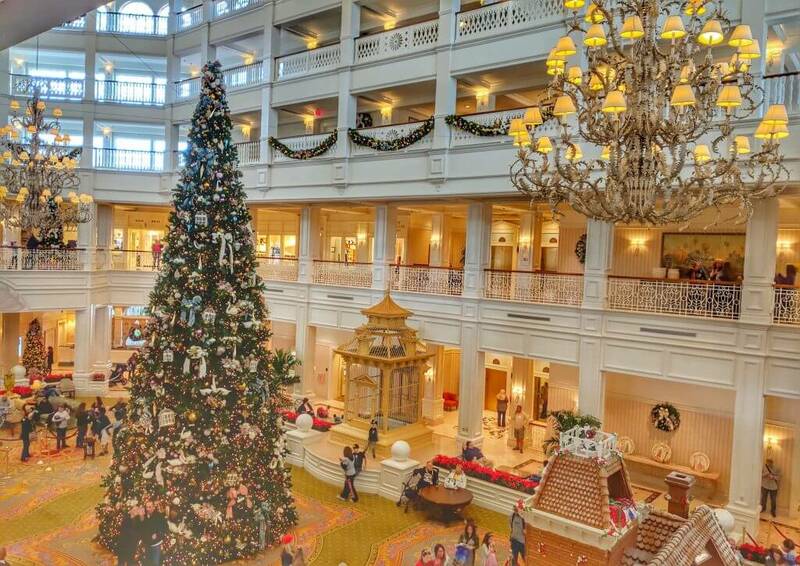 The good old Grand Floridian, it never lets us down at Chrsitmas time with just how magical it looks! What beautiful decorations and we visited Disneyland Paris, just as theirs were going up! I have never been to a Disney resort. 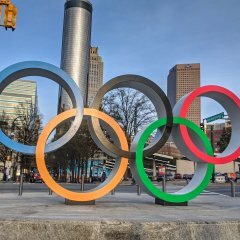 I would love to visit one in future. 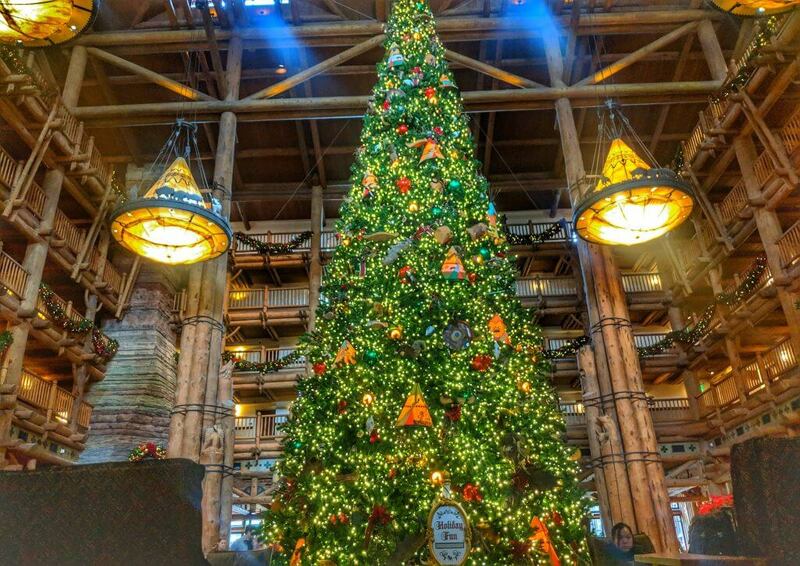 Oh my goodness – that tree at Wilderness Lodge! It’s AMAZING! Disney is incredible all year round – I can only imagine how awesome it is during Christmas! I would love to take my girls to Disney and it looks even more magical at Christmas! I so want to take my kids to Disney at Christmas time! Saving this for a time we finally save enough to go!